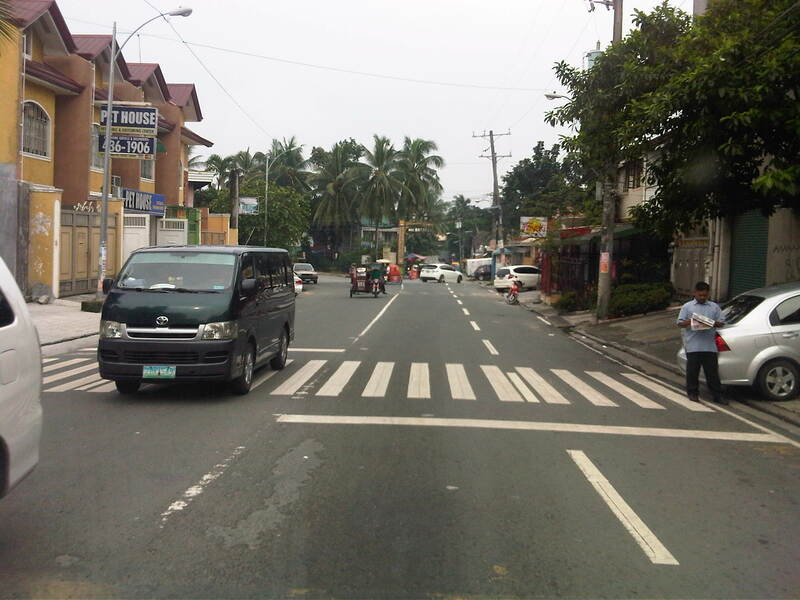 V. Luna Extension starts from the intersection with Kalayaan Avenue runs until the boundary with Bgy. Botocan in Teachers Village where it becomes Maginhawa Street. It was mainly a residential street being practically part of the Teachers Village/Sikatuna Village area in Quezon City. The street has been widened to 4 lanes from its wide 2-lane carriageway. However, the additional lanes are not fully utilized for traffic. 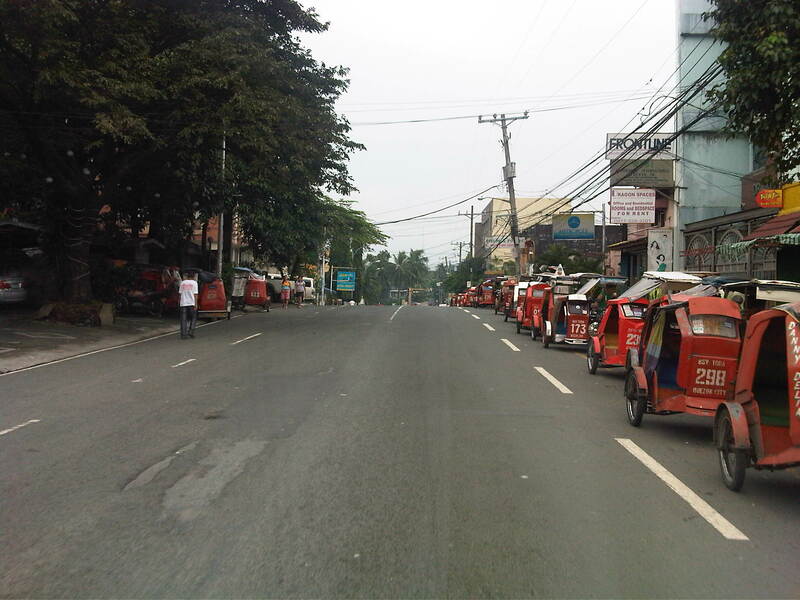 Rather, they are occupied by parked vehicles and, at some sections, informal tricycle terminals. Following are photos taken one weekday afternoon showing typical conditions along the road. 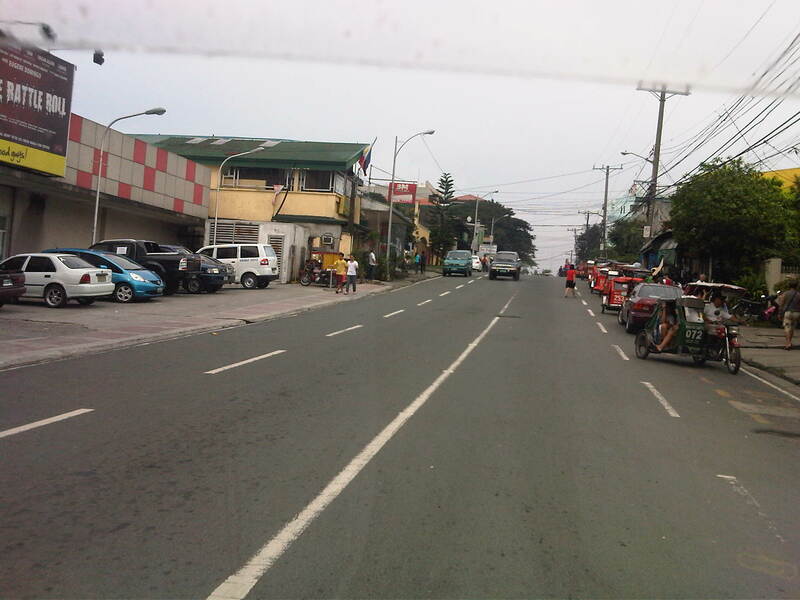 Section in front of SaveMore – while there are off-street parking spaces available at the supermarket side of the road and reducing on-street parking there, the other side’s curbside lane is occupied by a tricycle queue. The tricycle queue extends well beyond the head shown in the previous photo. In the picture above, on-street parking in front of residential buildings along the street are shown. There is a yellow line painted on the pavement that seems to be a guide for the tricycles. While I am sure they try their best to park close to the curbside, these 3-wheelers still end up occupying significant road space, thereby reducing traffic capacity. Further down the street one starts to realize that the tricycle queue seems to go on and as far as the eye could see in the photo. Note the tricycles parked on the other side of the road, probably just coming back or going around to get fares. End of the line – still further down the street and quire near the end of the section designated as V. Luna Extension one can already see the end of the tricycle queue. One can just imagine how many more of these tricycles are going around the village and just how much drivers take home as their net income at the end of a very competitive day. I say competitive here because for the numbers alone at the informal terminal, you get the idea that demand is quite limited and that there is an over-supply of 3-wheelers in the area. Unfortunately, these transport modes are the source of livelihood for many people and to many, a career operating these vehicles seem to be targets for many who have limited opportunities to study and eventually find better-paying jobs. Pedestrian crossings – from the previous photos, it is not hard to see that there are few places designated for crossings. In fact, along the entire length of this street (and others like it) people cross just about anywhere. This is possible since traffic is still typically not so heavy along this street. 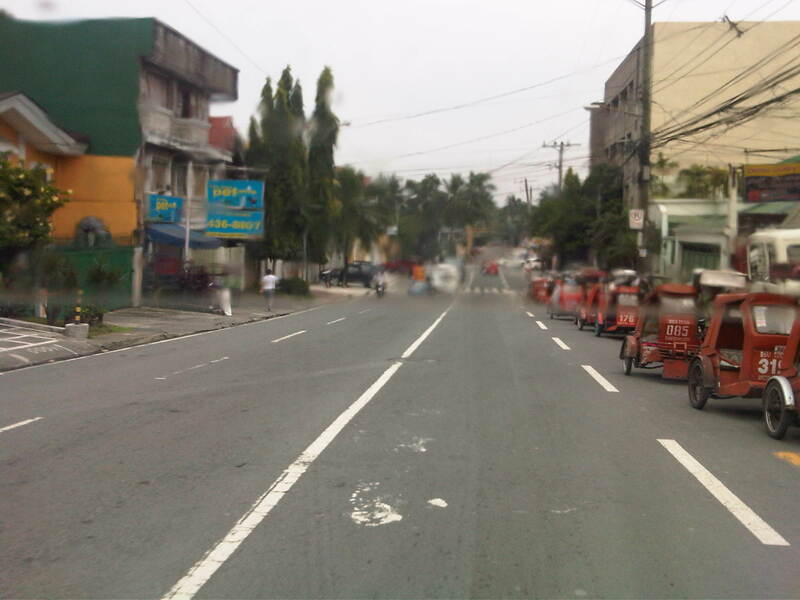 Fork in the road – V. Luna Extension continues to the left but as Maginhawa Street in UP Teachers Village. 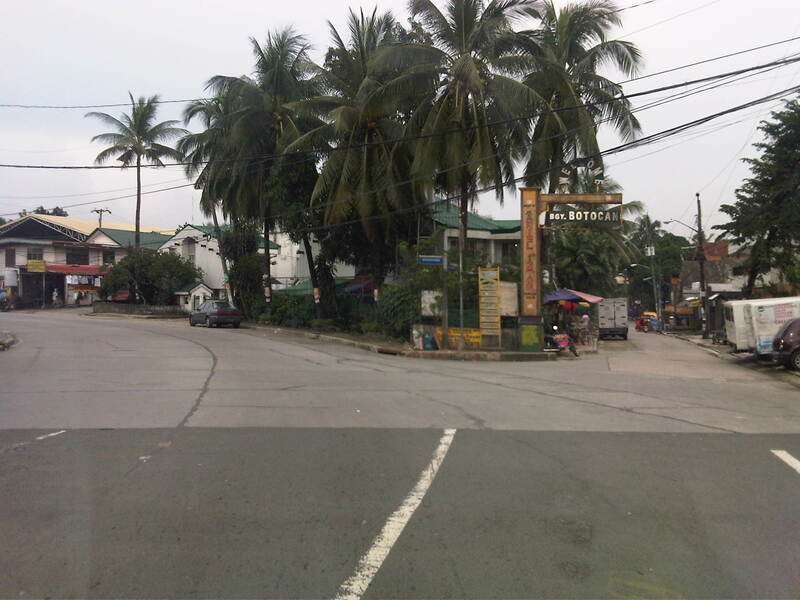 The street on the right is also a part of a residential area, Bgy. 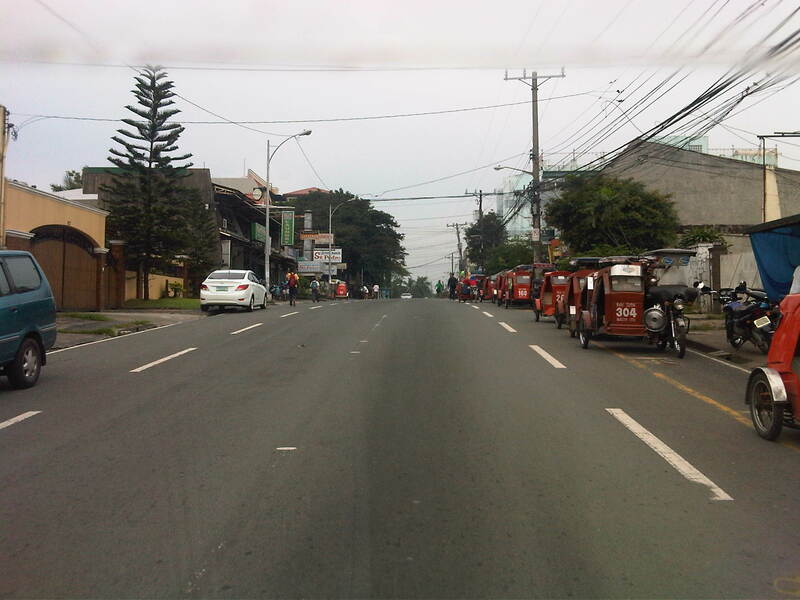 Botocan, along which is the ROW of Meralco’s power transmission lines. By d0ctrine in Highways and Streets, Land use, Paratransit on November 14, 2012 .